Find Avon, IN New Homes for sale. View Photos, Maps and MLS Data Now! Turner Trace - Childcare business at entrance of subdivision, community pool, playground are just a few of the amazing amenities. MLS#21630885. Wright, REALTORS®. Turner Trace - Childcare business at entrance of subdivision, community pool, playground are just a few of the amazing amenities. MLS#21631302. Wright, REALTORS®. This home will also include a first floor den, sunroom, spacious loft & back patio. MLS#21628486. CENTURY 21 Scheetz. Full basement and expanded 2 car garage. MLS#21628409. HMS Real Estate, LLC. This home is a must see! MLS#21626231. HMS Real Estate, LLC. 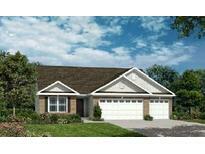 Photos shown may be an artist rendering, model home, or of the same model due to current construction stage. MLS#21625534. CENTURY 21 Scheetz. 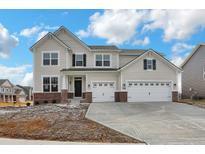 Woodcreek Crossing - This 4 bedroom 2.5 bathroom 2 car garage home has it all! MLS#21624272. Drees Homes. There are 2 additional bedrooms that share a centrally located hall bathroom, laundry room and HUGE loft. 2 bay garage. MLS#21624293. HMS Real Estate, LLC.